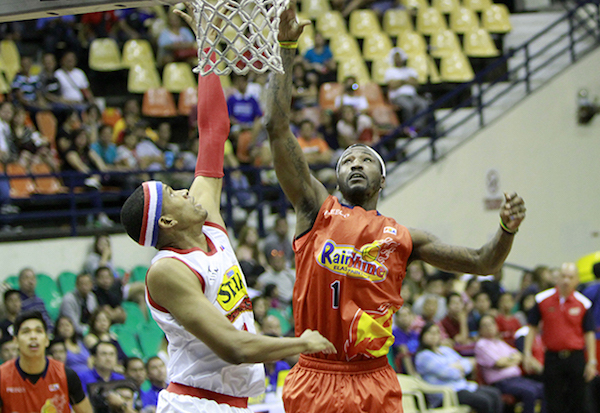 It was an eventful Saturday night in the 2016 PBA Commissioner’s Cup as TNT import Ivan Johnson got dissed and dismissed early in their game against Meralco, while Rain or Shine frustrated a hapless Star Hotshots squad in the nightcap. 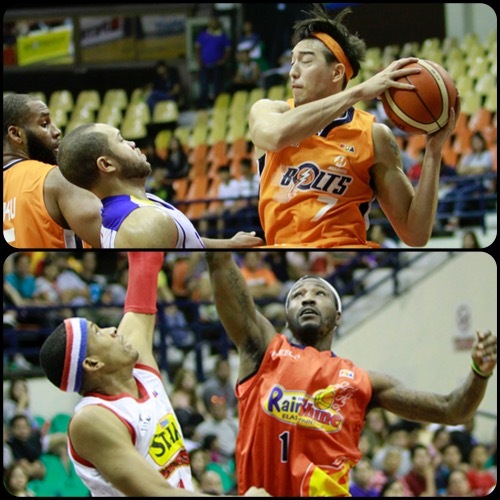 In just their second game of the 2016 Oppo PBA Commissioner’s Cup, the Meralco Bolts eclipsed their entire win total from last conference after notching an 88-84 victory over Tropang TNT on Saturday at the PhilSports Arena. Meralco, which only had one win in 11 games in the Philippine Cup, are now 2-0 to open the new conference. Cliff Hodge had a team-high 15 points alongside eight rebounds, while Jared Dillinger had a double-double with 14 markers and 11 boards to lead the Bolts. Import Arinze Onuaku, who had 25 points and 22 rebounds in their previous game, had a modest but efficient performance, finishing with 14 points on 6-for-8 shooting from the field. 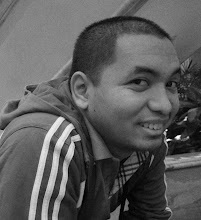 He also had seven rebounds and four steals in the game. Bryan Faundo finished with 11 points, while point guards Jimmy Alapag and Baser Amer both reached double-figures as well with 10. Cliff Hodge had a great outing against TNT. Jayson Castro tries to dribble past Chris Newsome and Ivan Johnson. They bucked a strong showing from Tropang TNT’s star Jayson Castro, who scored 22 of his game-high 25 points in the second half. The defeat was a double black eye for TNT, which saw its import Ivan Johnson ejected and likely banned from the league after disrespecting PBA Commissioner Chito Narvasa. Cliff Hodge (MER) - 15pts, 8rebs, 3asts, 1blk. 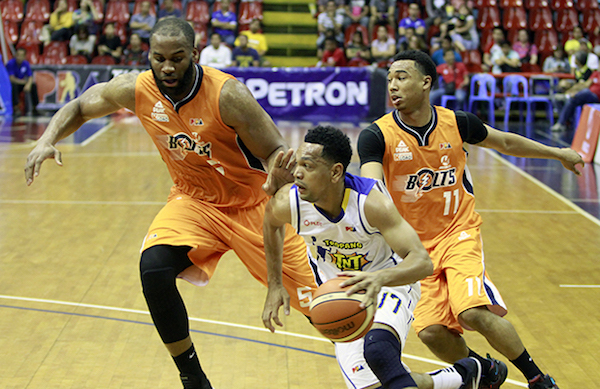 Jayson Castro (TNT) - 25pts, 5asts, 1reb, 1stl, 1 triple. 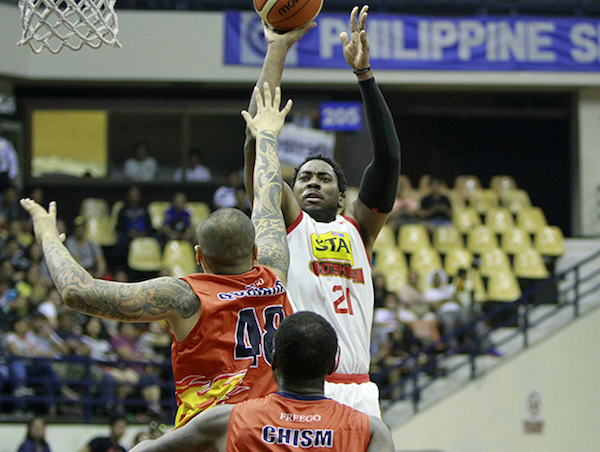 ROS import Wayne Chism had 13 points, 8 rebounds, and 2 blocks to lead Elasto-Painters to a big 95-86 win over Star to open their PBA Commissioner’s Cup campaign on Saturday. 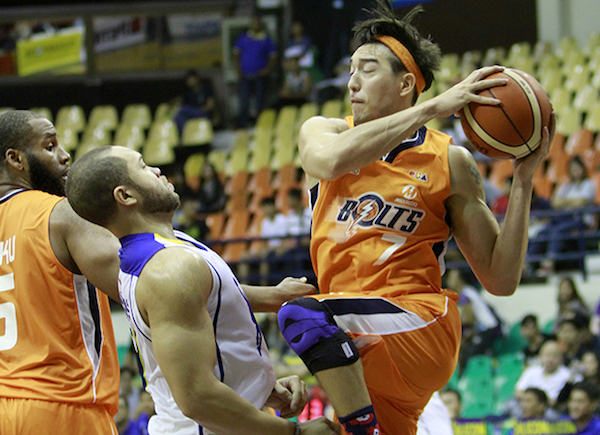 Jeff Chan provided additional firepower for ROS, scoring 17 points on the strength of 5 triples. Jericho Cruz also did well with 13 points, 4 rebounds, and 4 assists, off the bench, while Beau Belga added a dozen markers in a starting role. Denzel Bowles's amazing night went down the drain. Wayne Chism tries to score over Rafi Reavis. It was a really tight game for the first three periods before the Painters outscored the Hotshots, 31-23, in the final frame to wrest control. Star import Denzel Bowles had a fantastic outing, finishing with 339 points, 18 rebounds, and 2 blocks, but he hardly had help from anyone else as Allein Maliksi was the only other Hotshot to score in double-digits with 10. Wayne Chism (ROS) - 13pts, 8rebs, 2blks, 1stl, 1ast. Denzel Bowles (STA) - 39pts, 18rebs, 2asts, 2blks, 16/31 FGs.